Group photo with ACAM faculty, Program staff, Ms. Mary Kitagawa, and ACAM students. Norm Ibuki: What is it like to be a young Nikkei in BC these days? Carolyn Nakagawa: You know, I’ve met a few other Japanese Canadians at UBC, just by chance, who mostly come from other parts of Canada, and to hear them talk about their families really drives home the importance of BC to our heritage – I’ve heard them say it’s like “returning to the homeland” – the homeland being Vancouver, not Japan. It’s momentous for a Japanese Canadian to move to the west coast of Canada. It’s momentous that I was born here. So that’s one part of it. As someone who grew up without much direct connection to the community, it’s an exciting time to be getting acquainted with everything. There’s lots of important things going on under the Asian Canadian banner (UBC’s ACAM program not the least of this) that we get to be a part of. But also, most young Nikkei, in particular those whose families immigrated before WWII, are very Canadianized compared to many others who fall under the banner of “Asian Canadian community” – we speak English, our parents speak English, and in most cases we don’t speak our heritage language or really have much that connects us to a more “Asian” culture. Many of us, like me, are part Japanese and part Caucasian. All of this makes it easier for us to blend into the dominant European-derived culture than it is for a lot of other young people with Asian heritage, and most of us do, I think, if not all, then still a lot of the time. I don’t really think that’s a good thing or a bad thing. It’s a truth with particular historical reasons and causes. It leads to a lot of ambivalent feelings for me, and for others that I’ve spoken to about it as well. NI: How important is the cultural connection to modern Japan for young people like yourself? CN: As for modern Japan, I lived there for ten months as an exchange student after I graduated from high school here. It was a very important experience for me, and I’m very grateful for many of the people I met there, especially my homestay family. But it’s a foreign country and a foreign culture for me. The things that have been passed down in my family are often not recognizable there, because things have changed so much (and also because some of it is very regionally specific), and of course a lot of that tradition was lost or translated differently through the generations. It bothers me a lot when people here exoticize Japan or Japanese culture, because I’ve lived there and known specific Japanese people whom I care about, not because I personally identify with it. My heritage is very specifically Japanese Canadian, which doesn’t directly have much at all to do with modern Japan. I’m more interested in our community’s Canadian history. That doesn’t mean we shouldn’t care at all about Japan, but it’s not exactly the homeland for Nikkei families who immigrated before the war like mine did – it’s probably more accurate to call Vancouver the homeland. The Japan connection is more tenuous and complicated, but it also very interesting. For example, my grandmother’s sister was living in Japan during WWII, and she ended up getting married and staying there even though she was born in Canada. So there’s an entire branch of our family, my dad’s cousins and such, that are completely Japanese. We don’t know them well or have any regular contact with them (we’ve only met them once or twice, if that), and they’re culturally very different from us, but we’re still related, and we’ve visited them and they’ve visited us and we’ve shown each other around and been happy to meet. I don’t really know if I can or should say anything conclusive about that, but maybe it illustrates what I mean about the connection to modern Japan. It’s not that it’s not there, but it’s not a direct descendent kind of relationship. It’s like my relationship to my dad’s maternal cousins. We kind of wish we knew them better, but there’s a lot of things in the way of that, particularly language, cultural, and geographical differences. While the connection is still very much there, I don’t know if trying to travel back in time to our common origin point is the best way to move forward. NI: What about your own association with Japanese history? CN: Do you mean history of events and such in Japan? I took that class as an exchange student (in Japanese) and maybe took in about 0.5% of what was going on because there were all these names and places written in kanji that weren’t in my dictionary and even if they were, they were proper names. So I don’t know. Japanese Canadian history is huge for me because that’s my family’s story. It isn’t a huge community, so it feels like that narrative, in some version or another, really does fit everyone whose family was in Canada at the time. It’s a family narrative for all of us. Maybe that’s what happens when you take out imperial maneuvering or any other kind of formal political governance structure – what’s left is all community. NI: What are some of the issues that you feel need to be addressed for the sake of your generation of Canadian Nikkei? CN: I think our place in the Asian Canadian community as a whole needs to be invested in. Nikkei have a specific heritage which often puts us in a fairly privileged position, but we’re still seen as Asian, and we have similar histories. If we’re going to do anything with our heritage and history, we can do a lot more by via ties with other communities, because the Nikkei community is very small. And I think we should have ties with other communities, because there’s a lot of work to be done in terms of social justice and anti-racism, and Nikkei have had a major victory with Redress. Hopefully we can pay it forward. I started off by talking about Asian Canadian coalitions, but working in solidarity with Indigenous communities is also extremely important right now, for similar reasons. I mean, if we talk about dispossession, what happened to Nikkei in World War II, as devastating as it was, is tiny compared to the effects of European colonialism on Indigenous peoples. They’re connected, too – it’s a question of precedent. Overall, I think that most Nikkei in my generation are really eager to form these connections. One result of the dispersal of our community is that a lot of these connections already exist for us socially (for example, my best friend is Korean Canadian) rather than us being a fairly insular group. I think it is already starting to happen and will happen more, and that’s the most important work we can do right now, especially with Indigenous communities. I hope we can contribute something of value to the work being done and the conversations being had about Indigenous rights and wellbeing (cultural and individual), as well as challenges that other Asian diasporic communities (or the “Asian Canadian” community as a blanket label) are currently facing. I also think it’s very important that we maintain connection with our elders, especially the survivors of internment who are becoming fewer and fewer in number. The work that’s been done and is still continuing to get their stories down is hugely valuable. The people who fought for the redress settlement also have a massively important story that we don’t want to lose consciousness of. We need to hold onto these stories and people so we can continue their legacy and share it with others. NI: What can you tell us about the UBC program? 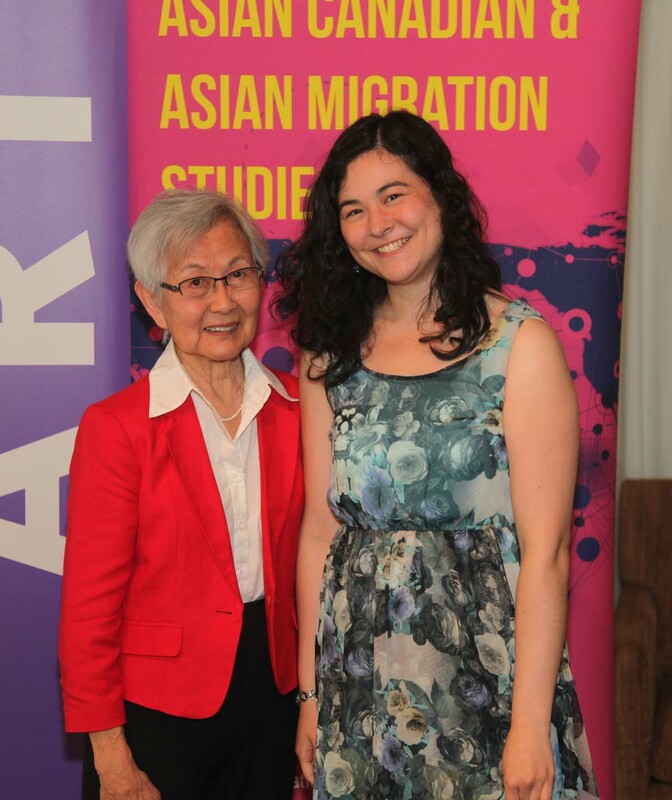 CN: First of all, the full name of the program is Asian Canadian and Asian Migration Studies (ACAM) – the Asian Migration part is so that the scope doesn’t have to be limited to just Canada. The Asian Studies department is a separate department that’s been around for decades (I think my aunt did Asian Studies at UBC in the ‘60s/’70s) and focusses on Asian languages and history/culture in Asia. While some Asian Studies faculty are involved in ACAM, they’re completely different programs – ACAM is about histories of migration and communities like the ones we have in Vancouver. 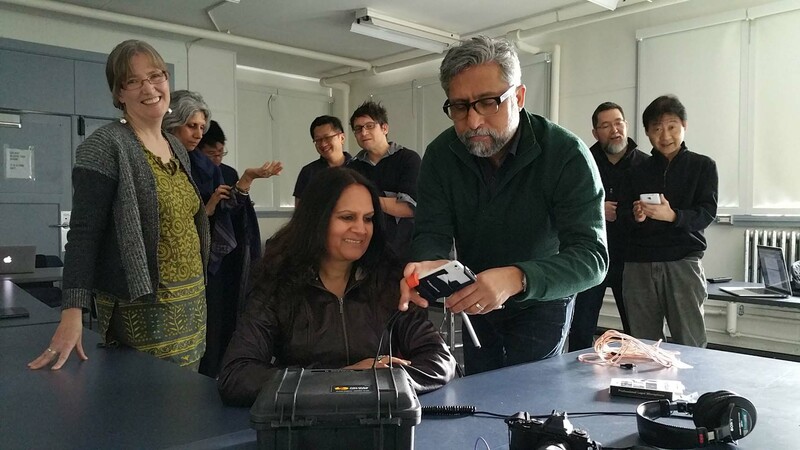 The program just completed its first year – it’s currently a minor in the Faculty of Arts at UBC. It’s a highly interdisciplinary program with a strong focus on media, especially filmmaking. ACAM doesn’t have its own courses at the moment: you can satisfy requirements for the minor with courses in English, Sociology, Asian Studies, First Nations Studies, History…it’s very broad, but it’s designed to encourage thinking across disciplinary borders and for students to design their own learning experience. Community involvement and community-based learning are also very important parts of the program: getting students out of the classroom, interacting with people who are living continuations of these histories, and thinking about what these things we’re learning about really mean in the city we live in. NI: What kind of students were enrolled? Was it mostly Nikkei? CN: Since the program is brand new, and the requirements fairly broad, I didn’t necessarily interact with a lot of ACAM students even in my “ACAM” classes. The first class of us to graduate with the minor was four people, including me, and I am the only Nikkei. NI: Who are the instructors? What did the curriculum cover? CN: ACAM has faculty in English, History, Theatre, Visual Art, Asian Studies, and probably other departments as well. Many of the instructors who have designed courses to fit with ACAM are very distinguished in their fields. I came to ACAM from the context of my heritage (as most students in the program do, I think), so I did quite a bit to do with Japanese language and JC history and culture, but that’s not necessarily the case for others, since it’s highly customizable based on each student’s interests. NI: How much a part of JC migration was covered? What issues were specifically addressed? CN: There’s a very strong JC community presence around ACAM, much of it because of Mary Kitagawa and all her work for the program and for the honourary degrees granted to the Nikkei students expelled from UBC in 1942. ACAM was established as part of the university’s commitment to acknowledging the injustice of the treatment of the students of ‘42. That’s a very important part of the program’s history. But it’s also much broader than that. NI: Can you say something about your personal experience in the program? Any epiphanies about your own identity, etc.? CN: It’s very humbling to be a student in the program for one year out of my degree, to come in and take these wonderful classes, which is one thing, but also to hear the people who have been fighting to establish this program for years talk about it. I’ve been put in the spotlight for ACAM, but I’m the tip of a very long, drawn-out iceberg. I can’t take credit for it – I’m a beneficiary of all of this. Do you know if UBC plans to expand the Canadian Asian Migration program? I think there are plans to build the ACAM program more, although I’m not the one doing that kind of planning. There’s definitely a lot of potential to build on, and the people in charge of that are very passionate about it, so I think even more great things will be happening with it. NI: What were the valuable learning experiences for you in that program? CN: The whole thing has been too big for me to itemize into valuable experiences. It’s not just about size, either – my experience in ACAM blends into my experience in the community, with my family, with my classmates and peers. It’s been one of the guiding forces of a very important time in my life. It’s given me more tools to think about how I navigate the world (and to actually navigate it). That sounds very vague but I think listing specific details would be a long process and also a reductive one. ACAM faculty media workshop led by renowned documentary filmmaker Ali Kazimi, director of Continuous Journey. NI: For other young Nikkei, what kind of advice would you give them if they want to learn more about themselves as Japanese Canadians? CN: Everyone is different. It can depend a lot on your family, who is or isn’t around for you to talk to. But there are a lot of books out there too – Roy Miki’s memoir, Redress, is wonderful. Books don’t necessarily reflect your own experience or your family’s exactly, but Redress is maybe a good one to start with because it gives context that I think is relevant for most if not all JCs, both with the historical background of immigration and internment, and because the fight for Redress is such a huge part of the Japanese Canadian legacy. Also, as a lit major I have to add that it’s beautifully written. NI: Where does it all start? CN: Getting involved in your local JC community (if there is one where you live) can be a way in. Taking a class about Japanese or Asian diaspora (if you go to UBC or another school that offers such classes) can be a way in. There are other ways in too, I’m sure – find something that makes sense for you and for your interests and other parts of your life. I’m an English major, so most of my ACAM classes were through the English department – diaspora literature and so on. It shouldn’t be compartmentalized away from the other things you’re interested in. One important thing to remember: Japanese Canadian history/culture is NOT the same as Japanese history/culture. They’re related, but not the same. It’s not enough to study Japanese history, Japanese traditions, or even to learn Japanese, at least in my experience. You might try that and not really feel connected to it, or maybe you do, but either way don’t stop there. If you can, try to find out where your family went during internment, because everyone in the Nikkei community will ask you that, and also because it’ll give you something specific and personal to work from. NI: What are your future study and career plans? CN: For now, I’m going out into the wide world armed with my BA. There are several things I’m interested in – museums and archives, libraries, academia, to name a few, but I’ve also been heavily involved in theatre. I’m a poet and playwright. What that means in terms of “career” I don’t know, but it does play a huge role in the choices I make. For now, I want to learn outside of the context of formal schooling. I want to be involved in projects and initiatives I believe are important. I don’t know where that will take me just yet, but I guess I’ll find out. CN: Thanks for these thought-provoking questions, Norm. There’s certainly more to say but I feel like I’ve talked so much already. Click here to view the interview on the Discover Nikkei website.